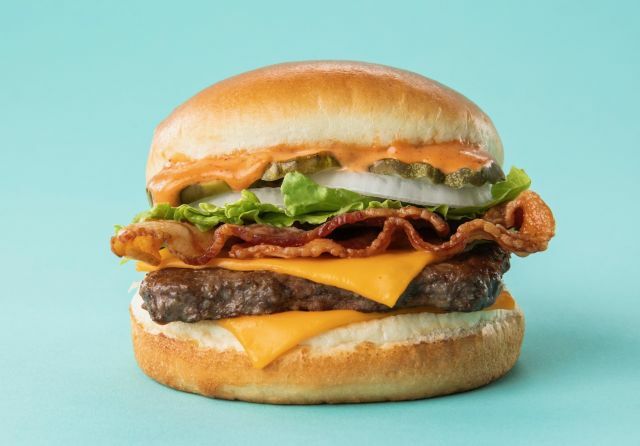 Wendy's finds new use for their Side of S'Awesome Sauce with the debut of the new S'Awesome Bacon Classic cheeseburger. The burger features a beef patty (or two or three), three strips of applewood-smoked bacon, American cheese, crinkle-cut pickles, onion, lettuce, and Side of S'Awesome Sauce on a toasted bun. The smoky, tangy sauce was first introduced as the signature dipping sauce for the chain's crispy chicken tenders and is described by Wendy's as a blend of ranch dressing, barbecue sauce, hot sauce, honey mustard, and Worcestershire sauce, in varying amounts. The new burger comes about as the chain has found that customers have been adding Side of S'Awesome sauce to their hamburgers, fries, and more. The S'Awesome Bacon Classic carries a suggested price of $4.99 (may vary) and can be found for a limited time at participating Wendy's restaurants.